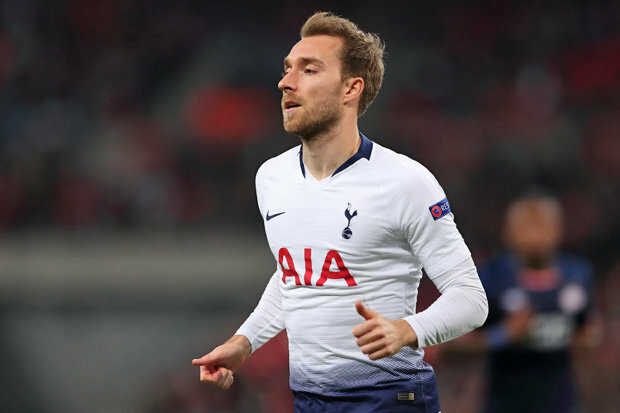 London club in pole position to sign Tottenham footballer Christian Eriksen and plan to make a bid during the summer transfer window. Maurizio wants to strengthen the midfield, and his primary target is a Danish player who has an impressive campaign and proves his worth one more time. Cesc Fabregas moved to Monaco, Mateo Kovacic will return to Madrid, Ruben Loftus-Cheek and Danny Drinkwater linked with several clubs and their back-up are necessary. Juventus, Real Madrid and Man United also keen to sign him and there will be a real battle for the player. His price could become much more. Christian regularly plays in the national team and also helped them to reach the playoff in the 2018 World Cup which is already a big success for the footballer. He is one of the best midfielders in the Premier League and a key figure for the club. Eriksen has contracted with the Spurs until 2020, and his release clause is nearly £85m. He joined the English club from Ajax in 2013 with a €14m deal. In this season, the 27-year-old attacker already played 38 matches, scored seven goals and made 12 assists in all tournament. It is an excellent result, and he can do much more during this campaign. Chelsea will do everything to add him this summer, but it will be difficult as Tottenham aren’t going to sell such an important figure during the transfer window. Blues also linked with Napoli midfielder Piotr Zielinski, Borussia Dortmund attacker Jadon Sancho, Real Madrid winger Gareth Bale and Juventus superstar Paulo Dybala.